ESP8266 Wi-Fi module can be configured as a Station / Client or an Access Point. Once it the ESP8266 module is configured in either mode or both mode simultaneously it can be used to communicate with other Access Points or Clients. ESP8266 module can handle multiple connections if configured and send / receive data. The ESP8266 Wi-Fi module can function as a Station / Client which allows other Access Points (APs) to connect to it. Station (STA) mode is useful when the module will only send / push data to another device as opposed to receiving / serving data. Prior to setting up the module as a Station, wire & configure ESP8266 module. It is also possible to configure ESP8266 module as an Access Point or both AP and STA modes simultaneously. 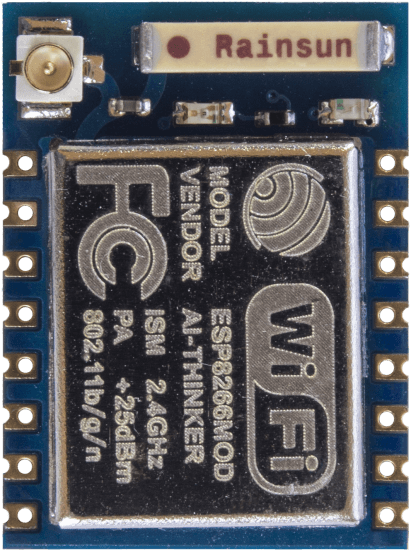 The ESP8266 Wi-Fi module can function as an Access Point allowing other Stations / Clients to connect to it like they would to any router. Prior to setting up the module for use wire & configure ESP8266 module. Besides configuring the module as an Access Point it is possible to configure ESP8266 module as a Client / Station or both modes simultaneously. Before attempting to use ESP8266 Module with a microcontroller like Arduino it is a good idea to test and get familiar with it by using a USB-to-Serial converter. With the converter AT commands can be issued directly to the module. Since some functions are not available on older firmware versions it is advisable to flash ESP8266 Wi-Fi module firmware to the latest version before proceeding to configure it. 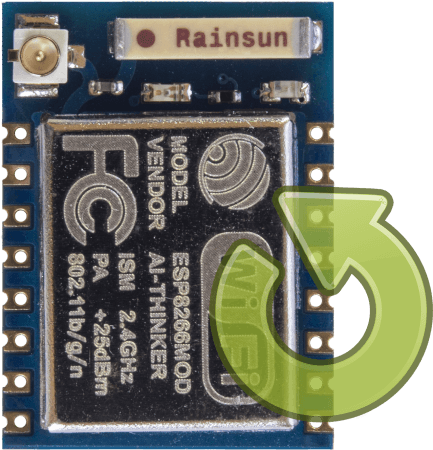 Flash ESP8266 module to avail of new features as the factory module will often come with outdated firmware. Some very important features may be missing from older firmware like the ability to set the baud rate. To update the software the module needs to be flashed. This may only be needed once though as the newest firmware adds the cloud updating functionality.